We are a leading Wholesale Trader of under counter dishwasher from Bengaluru, India. 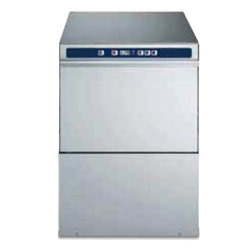 We are instrumental in offering Undercounter Dishwasher that is made using quality proven components. These products offer superior performance and easy to install. The offered products are light in weight, compactly designed and offer longer functional life. Besides, these can be availed in pocket friendly prices.